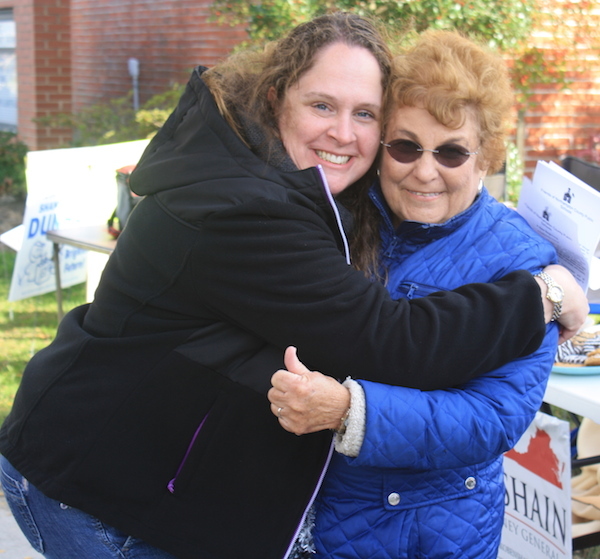 Eastville attorney Shannon Dunham defeated retired teacher Tamsey Ellis for the District 1 seat Tuesday on Northampton County’s first elected school board. Dunham received 488 votes to Ellis’ 435, with absentee ballots still to be counted. Neither candidate carried the burden of incumbency, as dissatisfaction with County schools is running high. Incumbent Delores Lindsay had filed to run in District 1, but later changed to contest an at-large seat voted on County-wide. Lindsay was unsuccessful in the at-large race, however, losing to Randall Parks 2,170 to 1,442. School Boards in Virginia are charged with three tasks: (1) Determine the policies that everyone must follow to keep the organization running smoothly; (2) Prepare and present to the public and Board of Supervisors a budget that will cover everything from pencils and erasers to salaries, buildings and equipment; and (3) Hire and supervise the Superintendent to manage the affairs of the organization. Next week we will go to the polls to vote for Northampton County School Board members. I worked closely with school boards over 38 years in education in seven communities and two states, including 14 years as Northampton’s School Superintendent. I know what makes a school board work and what doesn’t. The success of a school board depends on the support of the community it serves. It also depends on diversity among its members. That diversity allows for an exchange of views, a broader range of options, and extra security that issues are resolved in the most appropriate manner. I am writing in response to the recent letter in support of Tamsey Ellis for the School Board from District 1. Shannon Dunham possesses valuable attributes which none of the other candidates running for the School Board have. Namely, she has a vested interest in the school system in that she has three young children who are approaching school age. The need to have a balance on the School Board which would include young parents is essential for a board which should represent all of the community. The notion that she would not devote the necessary time to the School Board if elected is ludicrous. The value of having a lawyer on the School Board cannot be overestimated, as Shannon would be able to make certain that policies and decisions made by the Board are in fact legal, and the Board would not have to go back and re-work decisions which would in fact be illegal without her guidance. The writer is bothered by the request made by Mrs. Dunham to postpone the trial date for Tonya Bundick to allow more time to provide an adequate defense. In high-profile cases such as this one, it is common for defense attorneys to make such a motion. I believe such a request shows the due diligence which all of us would want if we were being represented by a lawyer in any legal case. We face a choice here in District 1 for who will sit on Northampton County’s first elected school board. Shannon Dunham, a local lawyer, is running against Tamsey Ellis, a retired educator. Having heard both candidates speak at the public forum at the old middle school a few weeks ago, I have made my choice. While I am sure that the dynamic Ms. Dunham is as smart as they come, and as ambitious, I have serious doubts about her ability to devote the time and energies to the enormous problems our schools face. Then she asked to remove herself from the case. Again, the judge refused to let her off the hook from her obligation. We would like to register our disagreement as well as displeasure concerning the consideration by the Northampton County Board of Supervisors with the elimination of the two at-large members of the school board, thereby reducing the number of members from seven to five. Removing the two at-large positions for this first election will possibly eliminate candidates who happen to live in the same district. Currently, if as many as three citizens worthy of being elected live in the same district, they nevertheless are able to run for election (two at-large and one in the district) with the possibility of being elected. 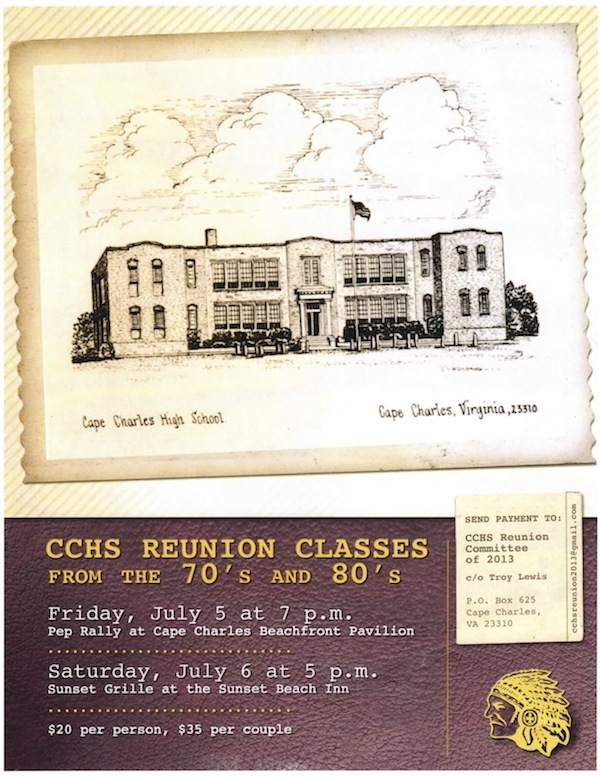 Recently a survey was circulated though email by an unnamed “local community group” in an attempt to explore “perceptions of the local school options” and “local Eastern Shore schools.” It was reported by the Cape Charles Wave. The survey was not appreciated and accomplished nothing. Its organizers should be ashamed. And who are the organizers? They are anonymous; anonymity has no place in the public discourse. At a basic level, we must exchange ideas in order to make any progress. That’s why testimony has value in a democracy. That’s how minds are changed. And, because we sign our names to our ideas, democracy is done in the light of day and personal accountability. It matters that I sign my name to this letter; it means that tomorrow, someone can approach me on Mason Avenue and speak to me about it. My boss will see it. I can’t hide from what I’m saying here, but I’m going to say it anyway. Because it matters. But this anonymous group has deliberately chosen to excuse themselves from that system of accountability. They are hiding. They are cowards.